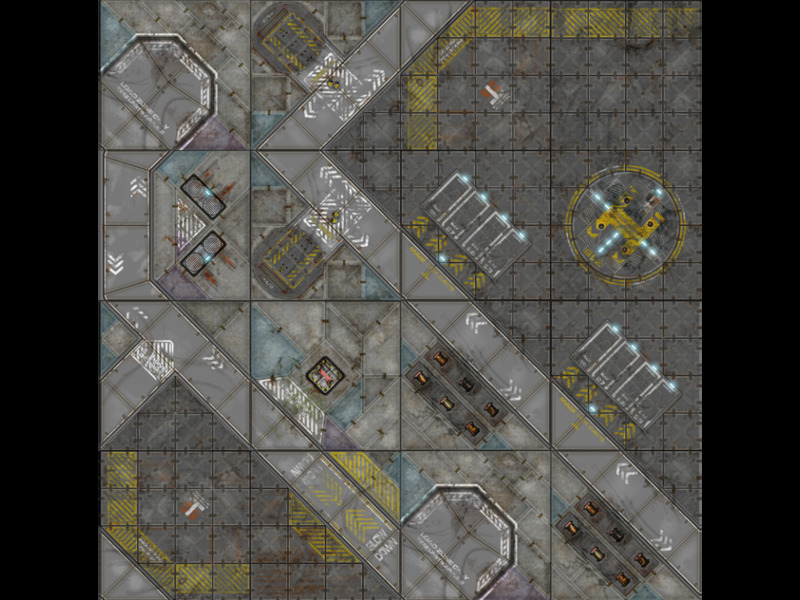 A 48x48 inches battlefield mat - a standard for Infinity - consists of 16 tiles that can be set in a vast number of combinations. Each tile is a 12x12 inch (30x30cm) polyester printout with a anti-slip rubber back. 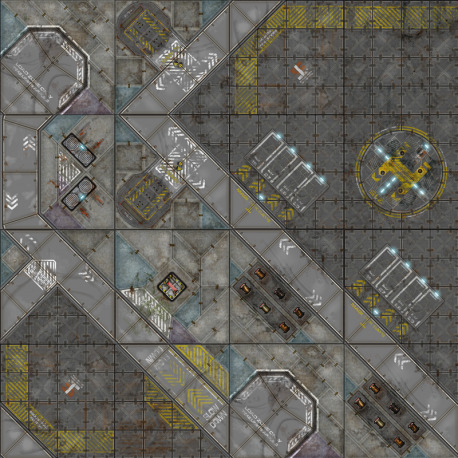 Many possible configurations provide unique experience with every new tile setting. Helps to judge weapon distance, deployment and quadrant control. Compatible with the ITS scenarios. Stores easily and takes up very little space. The colour of printout and contents may vary a little compared to the ones shown on the picture. The buildings, resin terrain, miniatures shown on the pictures are not included. PLEASE TAKE INTO NOTICE THAT - DEPENDING ON AVAILABILITY - SINGLE TILES MAY DIFFER FROM THE ONES SHOWN ON THE PIC.